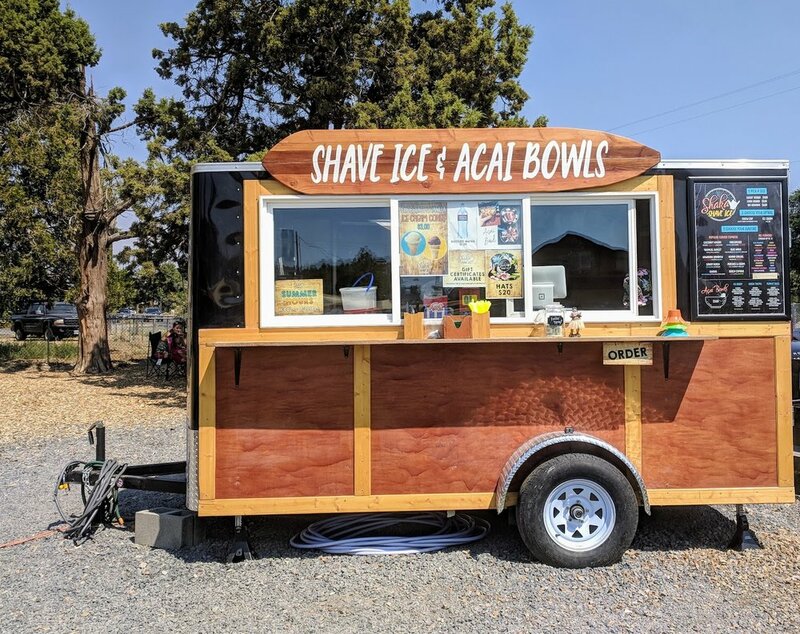 Where are the Tumalo food carts? 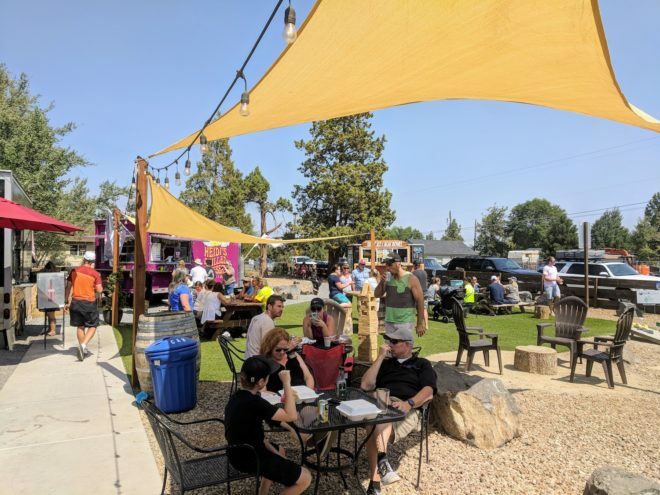 We finally got to visit the food trucks before our latest float down the river from Tumalo. The departure from the float from Tumalo to Twin Bridges is just a couple blocks away from this food court. 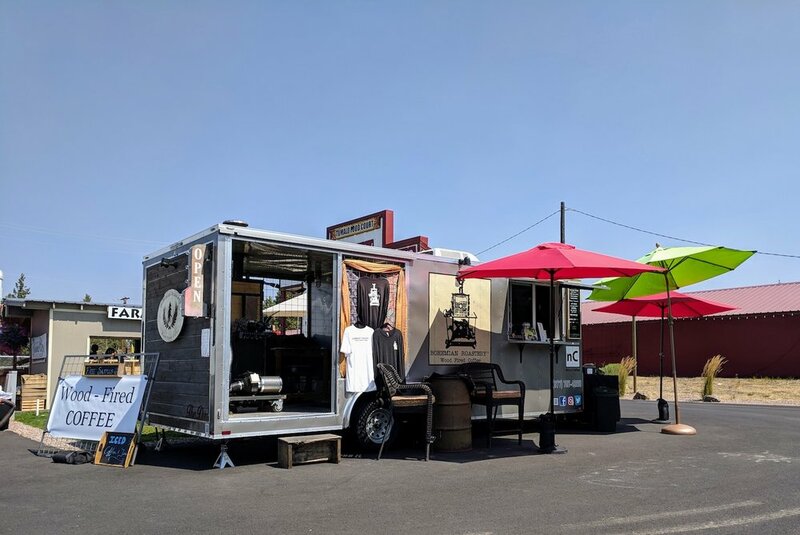 You’ll find the pod at 19860 7th St (in Tumalo but the address is Bend, Oregon). You’ll see it right off of Cook Avenue, the main road going through Tumalo. There is also a smaller food truck pod next to a farm stand a couple blocks away off of 8th Street. There, you’ll find a coffee truck, burgers cart, and Thai food. Tumalo is located about 13 miles or a 20 minute drive from Redmond. It’s 9 miles from Eagle Crest via Cline Falls Road. From Bend, it’s 8 miles or a 13 minutes drive. 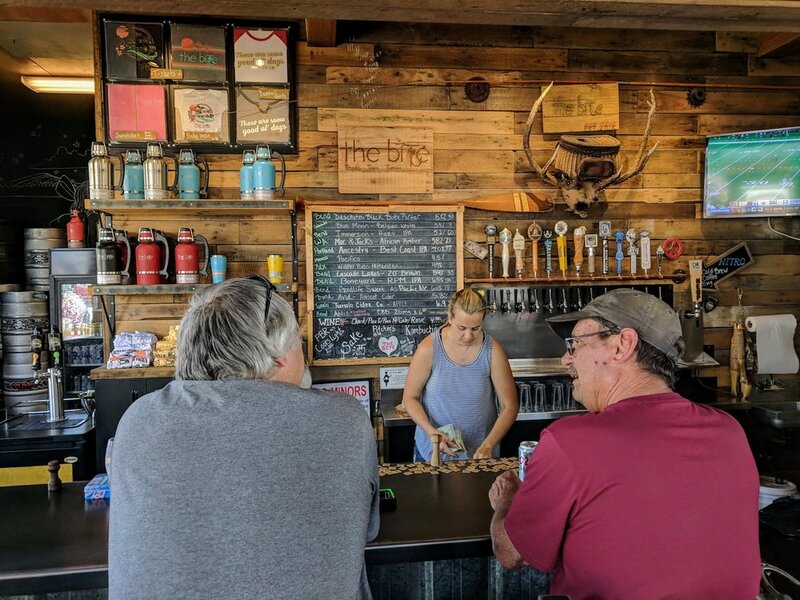 The Bite features lots of local beers and ciders on tap in their covered bar area. Outside are more tables, lawn games, and a fire pit. 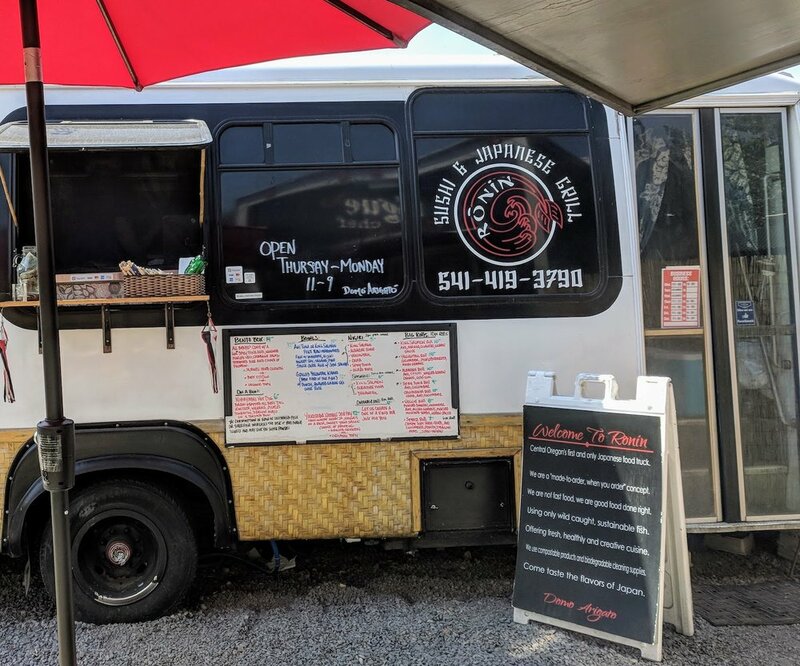 What food carts are at The Bite? As of this writing, there are five food trucks stationed around the food court. The Rogue Chef Tumalo offers restaurant quality Wagyu beef burgers and fries. 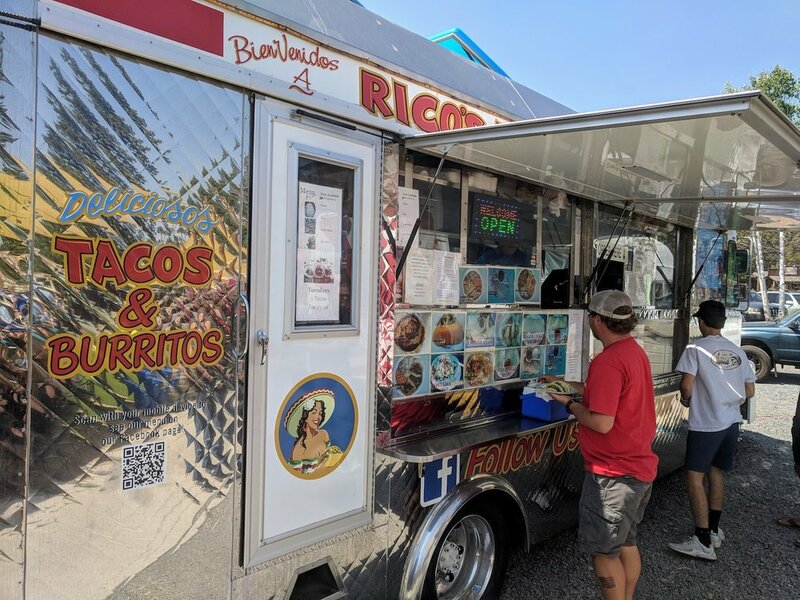 Rico’s Tacos offers – you guessed it – tacos. They also have burritos, tostados, fajitas, quesadillas, and nachos. 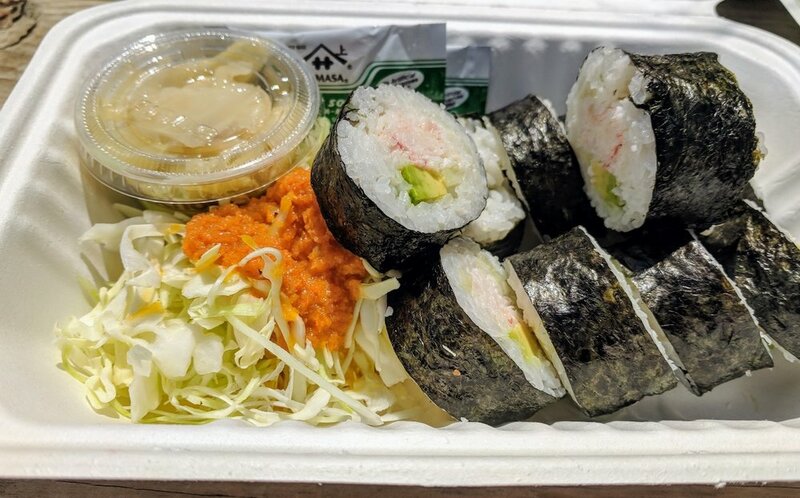 Ronin Sushi provides sushi rolls, nigiri, chirashi bowls, bento boxes, yakisoba, tatsutage chicken, Japanese curry, and more. 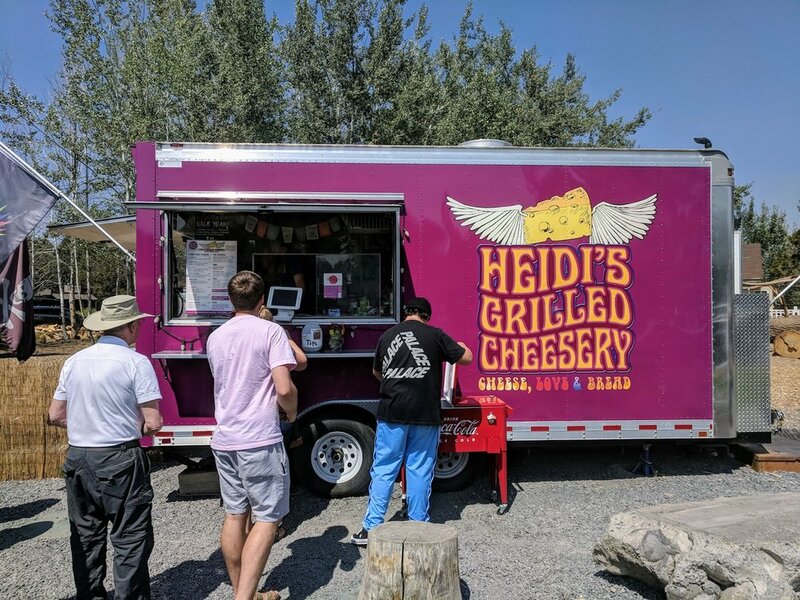 Heidi’s Grilled Cheesery serves up multiple combinations of tasty melted cheese and bread. 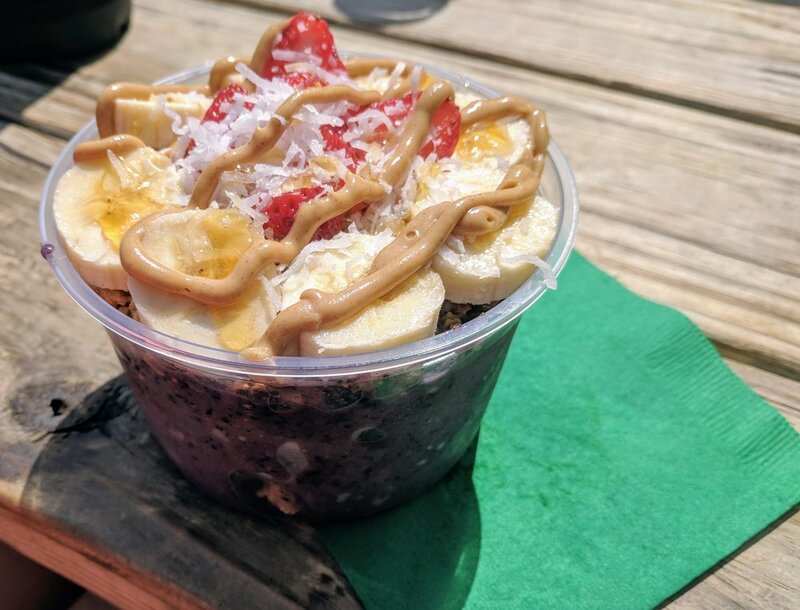 Shaka Shave Ice dishes up towering shave ice treats as well as acai bowls. Everything we had was pretty good. In most cases, I felt like the meals were a couple dollars more than I would expect for the portion size. 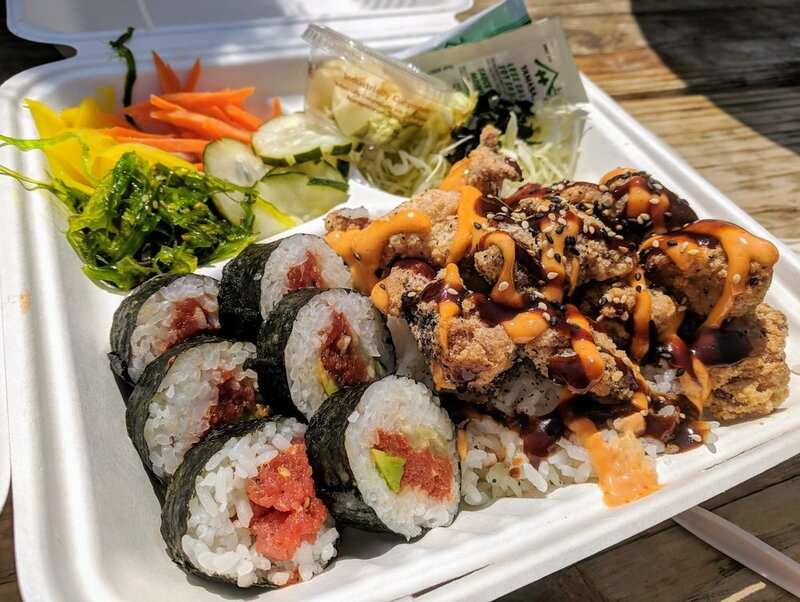 The one dish that really blew us away was the savory tatsutage chicken from Ronin Sushi. Food cart food isn’t cheap. $9 meals are pretty typical across all of the carts. But in addition to your meal, you also get a great family-friendly, open-air atmosphere with lawn games and fire pit. Plus, you’re supporting local Tumalo restaurants. Note that the mid-day summer sun can be intense. Make sure to wear sunscreen or arrive early to snag a spot in the shade! If you have a pup, know that dogs are allowed but they do need to be kept on leash. 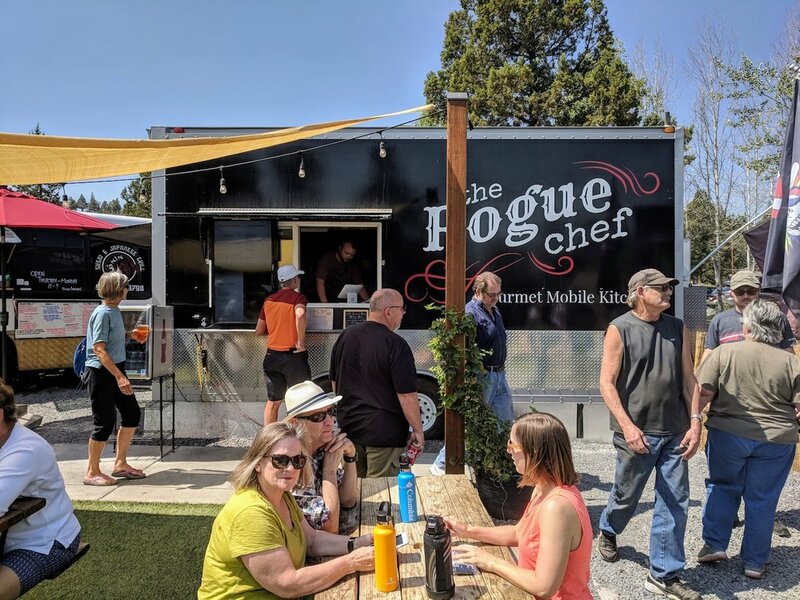 For up to date info on the Tumalo food carts, visit The Bite website. Food trucks have become common in India as well. As family businesses mostly, they are more friendly and with good food. Yes! I love a good grouping of food trucks. 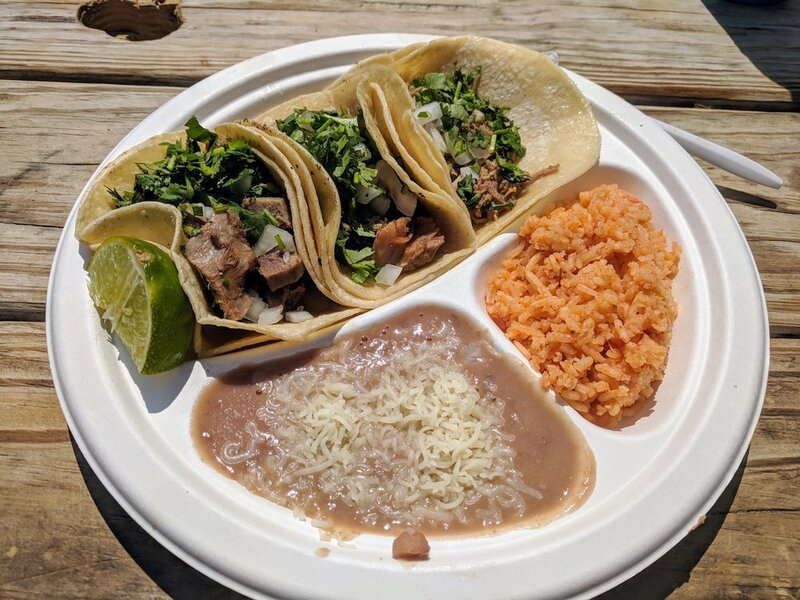 Especially Rico’s – tacos for the win!